Opening on a vibrant domestic scene as protagonist Malka prepares the Shabbat feast with her mother and sisters, Ariel Kahn’s novel Raising Sparks immediately immerses you in a life, locale and culture. Malka has grown up in a strictly Orthodox Jewish household in old Jerusalem, where women are born only to marry and bear children, with education and thought reserved for the male members of society. Malka’s father, a Yeshiva teacher of traditional texts, allowed her to learn at his knee for many years, but suddenly withdrew her illicit privileges without warning, and closed his study door to her without explanation. Malka remains frustrated, and hungry to learn more. When she meets one of her father’s students, Moshe, and has a vision of a terrifying tree, she knows she needs to find out more on her own terms. For the first time, she leaves her restrictive, overprotective home, and boards a bus out of the city she has never previously been beyond. Malka’s journey may only take her from Jerusalem to Safed to Tel Aviv, but in emotional and cultural terms is feels like a thousand miles. Kahn paints each step of her pilgrimage in vivid technicolour, throwing in friendships, foes and plenty of food along the way. Moments of magic realism are offset by Malka’s growing scepticism as she develops from innocent child to an independent being, with a few exceptional abilities for good measure. To me those lines sum up Malka’s character: her bravery, resilience and openness to finding joy. These are the qualities that keep us journeying beside her and invested not only in her story, but in the stories that incite her own curiosity and passion. In many ways, Raising Sparks is a love letter to a conflicted country, riddled with questions about human nature and stupidity, as well as excitement about a world of possibilities. In a book all about the true power of words, Kahn is adept at bringing symbolism to vivid life. He captures the essence of vast societal problems whilst never losing sight of the heart of the matter – family and what that word actually means. 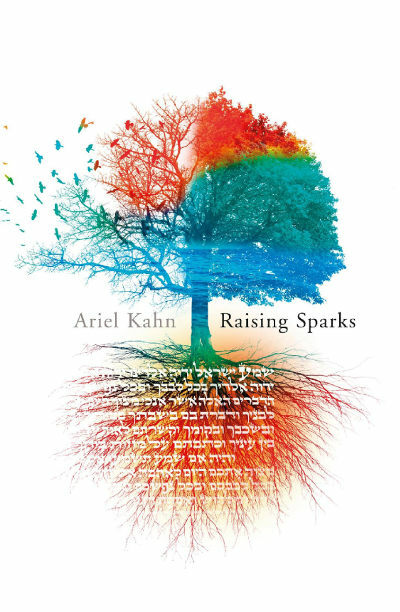 Raising Sparks by Ariel Kahn is published by Blue Moose Books and available to buy from Amazon. Read Ariel Kahn’s guest post on the sights and encounters that sparked the inspiration for his debut novel Raising Sparks.